Last week’s total solar eclipse over North America was awe-inspiring. As the moon covered the sun, you were reminded how small you, the country, and even the world are in the grand scheme of things. It helped you to block out, at least for a moment, all of the surrounding noise. It made you even more determined to protect our fragile environment. But, most of all, it inspired you to head to the desert. There’s no better place to watch the dark sky—this time due to nightfall instead of an eclipse—than the desert. The remote land is isolated and inhospitable. It’s where scorching hot days give way to cold, even frigid, nights. While millions of stars provide lots of doubt that we’re the only living creatures in the universe. 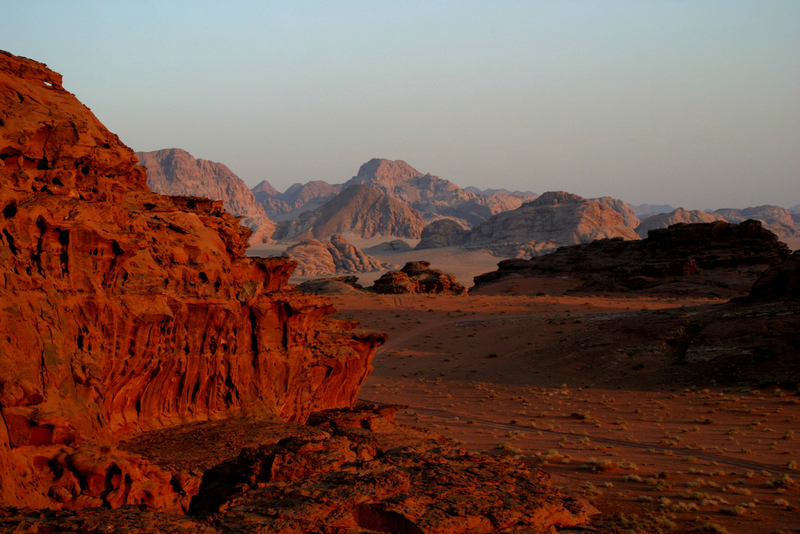 So you’re off to Wadi Rum. Jordan’s largest wadi—that would be a dry riverbed—is a protected area in the southern part of the country. The Valley of the Moon has been inhabited, albeit sparsely, since prehistoric times. Ancient temples are scattered through the vast canyon. Even older petroglyphs are etched on the limestone and granite rocks. Small springs pool in unexpected spots. Plus red sand extends as far as the eye can see. Most desert trips involve tents. This one could, too, if you want it to. Or you can sleep in a bubble. The Wadi Rum Night Luxury Camp has both. White drapes, handmade furniture, and Bedouin sofas fill the spacious tents. Usually, you’d be excited by the thought of such luxury in the middle of nowhere. But the Full of Stars bubbles are truly unique. The bubbles have king-size beds and bathrooms with showers. They also have clear ceilings, so you can watch for shooting stars until you can’t keep your eyes open any longer. The meteors should keep you occupied until the next total solar eclipse, which will pass over the Pacific Ocean and South America. Your calendar is already marked for July 2019.